Nursing home abuse can be hard to detect. If your loved one needs nursing home care, then you need to make sure you have some questions answered before you decide on a facility. This can be a tough choice since you obviously want the nursing home to provide your loved one with the type of care you would give them. The facility’s abuse prevention policy. While abuse is unpredictable, it is more likely to occur and to go unreported in nursing homes that lack formal policies. Staff training. Ask about how staff is trained and what the facility’s procedures for ongoing training are. Make sure that qualified trainers are being used for education. Pre-screening for staff before they are hired. Many nursing homes are in a hurry to fill vacant positions due to the needs of the facility. However, regardless of how busy the facility is, proper background checks must be performed before any staff is hired. Observe if the staff seemed stressed. Ask for a tour of the facility and watch not only the person showing you around, but also pay attention to the attitude and demeanor of other staff members. Observe the staff to patient ratio and ask about the turnover rate. A stable workplace may be safer than one that is always going through staffing changes. Do your research and review any complaints. If the facility has a history of complaints, this could be a concerning trend. 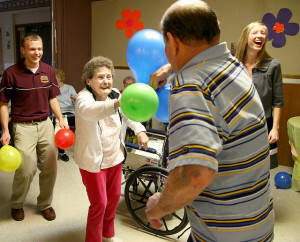 The culture of the nursing home. Keep your eyes and ears open to everything. How do staff members talk to residents? How do residents respond to staff members? Is the care staff and managers present and aware of what is going on? Note the physical appearance of the nursing home. Observe if it is clean and bright or run down and outdated. Staff that takes pride in their place of business and management that puts money into the nursing home may be an important indicator. Moreover, never be intimidated to ask about any specific concerns that you notice on a facility visit. You should also voice any and all concerns that you have based on your loved one’s physical or mental condition. Understand that safety is not guaranteed anywhere. Appearances can be deceiving, and despite a nursing home not having any of the risk factors listed above, there may still be a nursing home worker who is negligent or abusive. Never blame yourself for your loved one’s injury or mistreatment. It is not your fault and you could not have stopped it, but you can do something to help protect your loved one and prevent others from being hurt. You need to report the abuse, move your loved one to a safe environment and make sure that your families rights are protected. A Citrus County Nursing Home Abuse Lawyer at Whittel & Melton can help you file an injury claim and make sure you fully understand your legal rights. Call us today at 352-726-0078 or contact us online for a free consultation.